Emma Gatewood told her family she was going on a walk and left her small Ohio hometown with a change of clothes and less than $200. 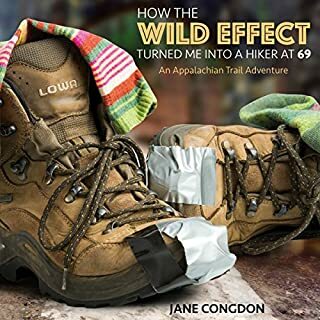 The next anybody heard from her, this genteel, farm-reared, 67-year-old great-grandmother had walked 800 miles along the 2,050-mile Appalachian Trail. And in September 1955, atop Maine's Mount Katahdin, she sang the first verse of "America, the Beautiful" and proclaimed, "I said I'll do it, and I've done it." Grandma Gatewood, as the reporters called her, became the first woman to hike the entire Appalachian Trail alone, as well as the first person - man or woman - to walk it twice and three times. The public attention she brought to the little-known footpath was unprecedented. Her vocal criticism of the lousy, difficult stretches led to bolstered maintenance, and very likely saved the trail from extinction. 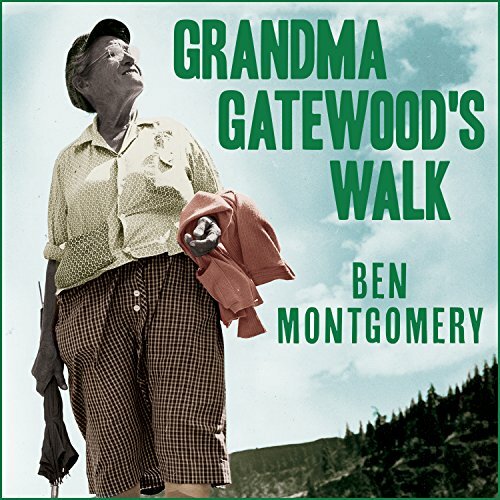 Ben Montgomery has given us a glimpse into Grandma Gatewoods (age 67) walks... yes plural... she did the Appalachian Trail three times and many, many others. She was the first ultra-light camper... carrying only a homemade stuff sack, wool blanket, shower curtain and Vienna Sausages. Ben takes his information from her brief journal notes, newspaper articles, family records and interviews. The third person narrative and the writers obvious desire not to write fiction, limits the beauty of the story... and I didn't like the book at first. I listened at 1.25 (not my normal) because it does drag along. However, the magnitude of what she accomplished outweighed any failures in the rendition of it and I'm glad I continued to listen. This is less entertaining than Bill Bryson's "A Walk in the Woods" but she does complete the hike, which Bryson didn't... leaving me ticked at him still. You learn less about trail hiking than you would with Cheryl Strayed's book "Wild." However, anyone serious about hiking, changing lifestyles to be more active or biting off a big goals will appreciate her grit. I googled her after finishing the book and enjoyed the collection of photo's about her hike. She might not of saved the Appalachian Trail single handed, but she certainly motivated a generation of hikers who realized if "Grandma Gatewood" can do it, I can too. I loved Grandma Gatewood. She's quirky and ornery and stronger than maybe any other character I've ever known. She suffers gracefully and graciously, which of course makes her perfect for the Appalachian trial. I was inspired by her strength on many levels. The story only gets four stars because I felt like Montgomery didn't completely do her justice. I felt like this story just scratched the surface of her and what she experienced. There was too much "filler" in the story about the politics of the time, and other topics that didn't belong in this story. I wished there was a lot more detail about her. The narrator was perfect. Lawlor gives a lightness to the story that highlights the quirkiness of Grandma Gatewood and of the situations she gets herself in. I've already recommended this book to several of my friends. Good, but would have liked more of her. What made the experience of listening to Grandma Gatewood's Walk the most enjoyable? I want to be just like her. She was a inspiration. Would you be willing to try another book from Ben Montgomery? Why or why not? No. I bought the book to hear the story of Grandma Gatewood, but the book had very few of her words and a large amount of history. Would have liked more of her. The story time line jumps around a bit which makes concentrating kind of difficult. Several times I felt lost. The narrator had a great voice for Emma's parts but otherwise did not enchant me. 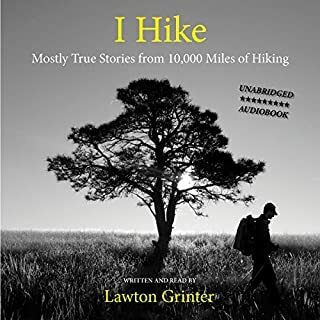 the story is still incredible and I feel greatly inspired as I prepare to start my own thru hike in just 2 months. Emma was one courageous lady. I wish I'd known her. 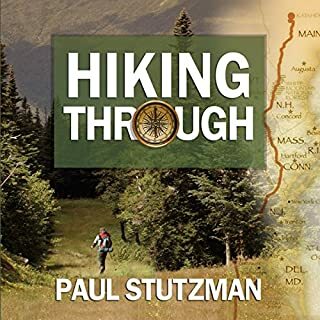 this would be a great book to give an older family member in advance of a thru hike as it certainly takes the fear out of doing something like this. If you could sum up Grandma Gatewood's Walk in three words, what would they be? Perhaps if it was not telling the story of a woman. I really felt a woman ought to have been narrating this story. While Mr. Lawlor's voice was clear, I found it terribly flat and even when describing very intense scenes, I nearly snored. Spoiler Alert - when Mrs. Gatewood is jailed, then removed from jail by someone who was savvy and compassionate enough to realize she was a battered wife. Grandma Gateway is an intriguing character: as others have pointed out, there is too much extraneous and irrelevant material. 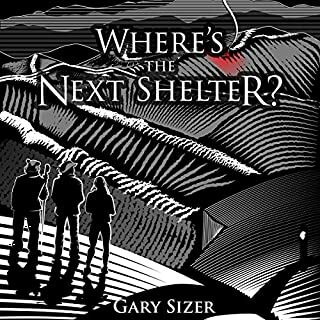 Not great Audible material, as would have preferred to skip extra sections. Emma Gatewood is a formidable and dauntless woman. She preserved through years of an abusive marriage, hard life as a farmer's wife through the Depression, and birthing eleven children. Her solace has always been walks in the woods. One day, she tells her (adult) children that she is "going for a walk" and disappears on a secret quest: to traverse the entire Appalachian trail. 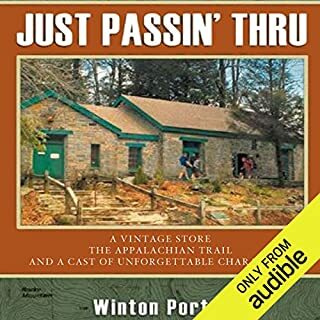 The book is largely based on factual bits (her trail journal, interactions with people along the trail, and later newspaper accounts) with a wealth of detail. Trekking in her ripped up Keds and sleeping under the stars without a sleeping bag, resourcefully gathering plants and fruit to add to her meager supplies, braving weather and rain and rough trail, always charming and grateful to those that offered her food or shelter or encouragement along the way, "Grandma" Gatewood is a true inspiration. This isn't great literature, but it is a great true story. Grandma Gatewood was an amazing person and I did like HER story. However, the author gets sidetracked by the history going on during Grandma's life. Some of this history is very hard to connect to the main story. Some of these side trails seemed like filler. I found myself wishing the book was over. 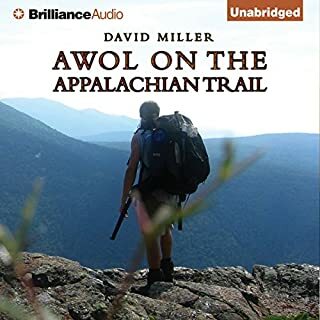 There are better books about the Appalachian trail out there. I enjoyed this narrator very much. The story of Emma's trek is evenly dispersed with equally interesting facts about related topics. I highly recommend this entertaining booj. What did you love best about Grandma Gatewood's Walk? She was so 'matter of fact' about walking. She just walked. No muss or fuss, just walk. Amazing tenacity especially during trying times like when she broke her glasses and hurt her ankle. I loved the entire book! I like the fact that she turned a negative into a positive - from abused housewife to powerful hiker. From mother of 11 to someone who hiked the AT more than once and then walked from Missouri to Oregon just to name a couple of walks! Wow!! I mostly wanted to listen to it while walking or biking. Made me more empathetic although I wasn't hiking on the AT. So I did not listen to it in one sitting. I savored it like a fine wine. Anyone who has struggled to overcome personal obstacles will be inspired by this book. A bit of a strange book, this, in that whilst i thoroughly enjoyed it, it left me with the feeling that the author didn't have enough material on the subject - Grandma Gatewood - alone to write a book so had to fill in blanks with historical data. BUT, that is ok as i enjoyed these glimpses into Americas social history: love the book because it bought an account of an amazing woman to my attention whom i would never have known about if this book had remained unwritten. Wish i had her balls ... so to speak.